After independence we have made lots of progress in Dam and Water Reservoirs, Now India is one of the world’s most prolific dam-builders. Around 4300 large dams already constructed and many more in the pipeline, Almost half of which are more than twenty years old. These dams are major attraction of tourists from all over India. 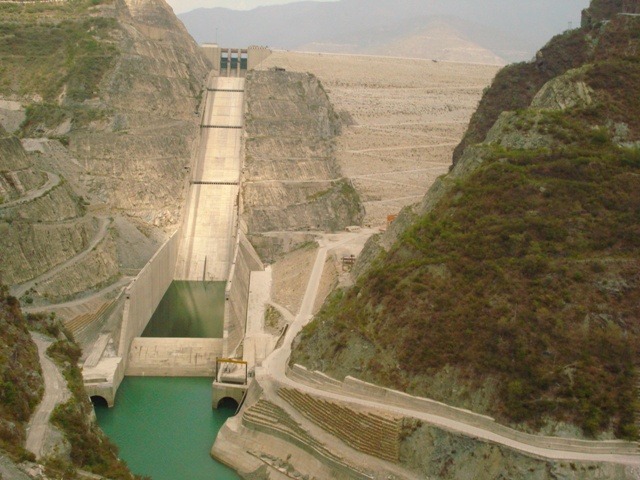 Some facts about the Indian dams are Tehri Dam is the eighth highest dam in the world. 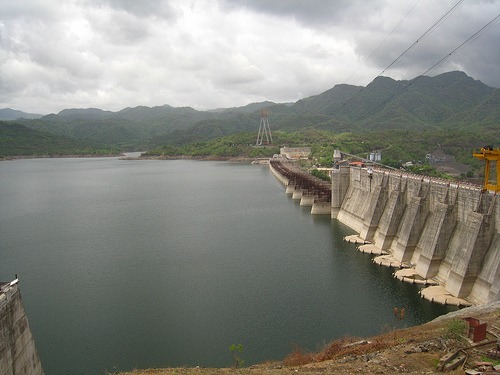 The Idukki dam is the first Indian arch dam in Periyar River Kerala and the largest arch dam in Asia. The Grand Anicut, Kallanai, located on Holy Cavery River in Tamil Nadu, is the oldest dam in the world. 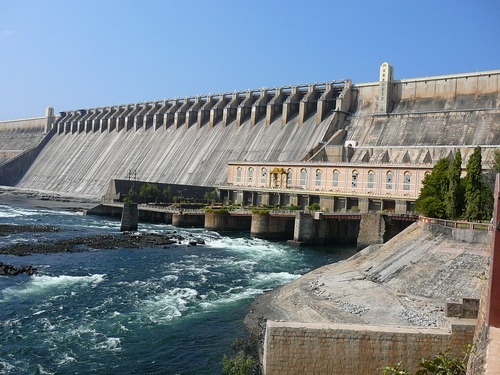 Indira Sagar Dam is the Largest Reservoir in India. These dams with the channel provides an ideal environment for wildlife. 1. Tehri Dam: Tehri Dam located on the Bhagirathi River, Uttaranchal Now become Uttarakhand. Tehri Dam is the highest dam in India,With a height of 261 meters and the eighth tallest dam in the world. 2. 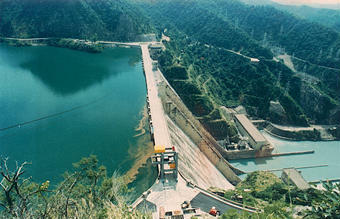 Bhakra Nangal Dam: Bhakra Nangal Dam is a gravity dam across the sutlej river Himachal Pradesh. Bhakra Nangal is the largest dam in India, with a height of 225 meters and second largest Dam in Asia. Its reservoir, known as the “Gobind Sagar Lake” it is the second largest reservoir in India, the first being Indira Sagar dam. 3. Hirakud Dam: Hirakud dam built across the Mahanadi River in Orissa. 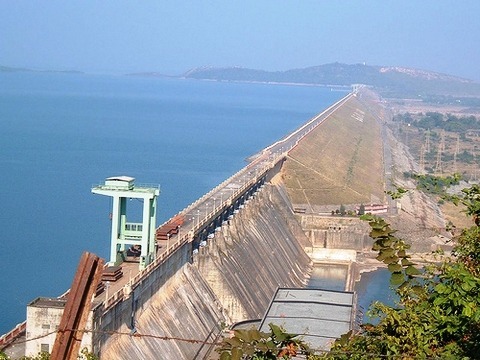 Hirakud Dam is one of the longest dams in the world about 26 km in length. There are two observation towers on the dam one is “Gandhi Minar” and another one is “Nehru Minar”. 4. Nagarjunasagar Dam: Nagarjuna Sagar Dam is the world’s largest masonry dam with a height of 124 meters, built across Krishna River in Andhra Pradesh. Nagarjuna Sagar Dam is certainly the pride of India-considered the largest man-made lake in the world. 5. Sardar Sarovar Dam: Sardar Sarovar Dam also known as “Narmada Dam” is the largest dam to be built, with a height of 138 meters, over the Sacred Narmada River in Gujarat. Drought prone areas of Kutch and Saurashtra will get irrigate by this project. The Narmada dam is India’s most controversial dam project. Structural Engineering could be the better option. The first one makes the compromises on design while the later does it on site and in case of any mishap it is always the site engineer who is caught. One of my buddies is really a runescape 07 gold.He spent nearly all of time for it to play the game.He's fashionable Usfine fan. He can buy RS gold when he or she is poor. He laughed and said" usfine can be a good friend for me personally in Runescape". Is he funny? no, he just said the language in the heart.He knew lots friend in Runecape,He appreciate that RS make his life more wonderful. He would think" Precisely what does runescape have to offer to its millions of players? "Almost all rs gold players would think it.